“Big data” is shorthand for a branch of analytics that involves grasping and understanding the significance of massive data sets that are too large or disorganized to analyze using conventional relational databases. It is drawn from various sources and delivered in several ways. This field, which is invaluable in today’s globalized world, is growing exponentially. As data affects all aspects of our lives, companies have sought to tap it to better serve their customers and to move up the value chain. IBM estimates that 2.5 million terabytes of data are produced every day. This data benefits some companies, as they obtain vital behavioral information that helps them understand how to better market products and services to their customers. This information can helps companies anticipate threats, or to improve their services. Managed Service Providers (MSPs) are jumping onto the big data bandwagon. They are now in a position to advise their enterprise-level clients on how to use big data analytics to grow their businesses. Companies of all sizes often turn to MSPs because they don’t have the expertise, time, or money to manage their big data ecosystems in-house. This is where the proficiency of MSPs allows them to offer their efficient big data analytics solutions. IT environments are becoming increasingly complex as businesses transition to the cloud. In the future, this will lead to a convergence of IoT, mobile computing and big data solutions. This unified computing architecture will be virtual, flexible, and scalable. Very few companies will be able to manage this architecture on their own, and few companies will be able to absorb the volume of data that will be generated. Here, too, MSPs can help their enterprise clients manage big data analytics cost-effectively, allowing the companies to devote more of their time to core business tasks. Companies also turn to MSPs to take advantage of dedicated IT operations that work round-the-clock, 365 days a year. Because MSPs must manage the technology needs of hundreds or thousands of clients, they employ many dedicated hardware and software experts who see to it that the clients can access their services at all times. MSPs can use their extensive knowledge, automation processes and expertise in resolving security issues to mitigate any adverse effects that their clients' businesses may have to deal with. In addition to cutting company costs, MSPs also offer customized solutions to their clients. Tapping into MSP services allows other companies to address the shortage of skilled big data specialists, by outsourcing these tasks to some of the most highly-qualified specialists available. Collaboration between an MSP and its client can put the latter in a better position to provide its niche services.MSPs take on the onus of coordinating with third-party IT providers, and they can also help companies offer services depending on the location and their area of expertise. MSPs can also handle deployment, monitoring, managing, supporting and the sorting out of issues, which eases major burdens for their clients. 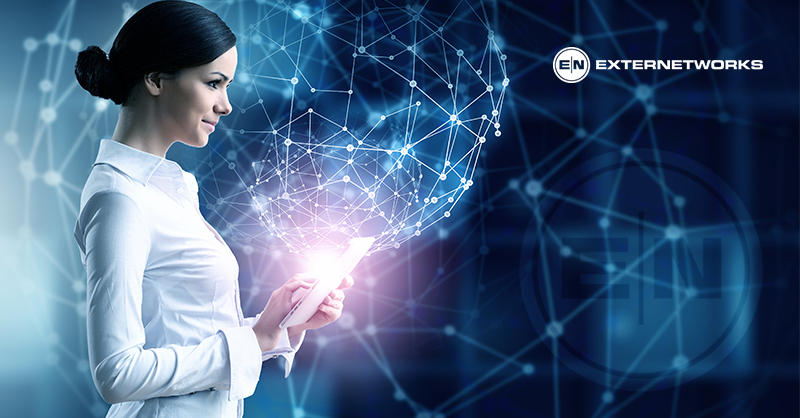 If you need an MSP that provides end-to-end big data solutions, including designing, deployment and round-the-clock support, talk to Externetworks today. Our dedicated team of engineers would love to help your company turn big data into real results you can see on your bottom line. I’m Swati Gupta and I’ve 4+ years of experience in Digital Marketing. I’ve my one hand in technical and one in creative. With a passion to seek the creativity, I’m exploring the world of internet more closely as days go by.